At Metro Infrastructure, quality is more than a process; it’s an attitude from top to bottom. Throughout the entire organization and in every phase of operation, Metro personnel are trained to check specifications, inspect, measure, calibrate and function test every piece of equipment before it goes in the hole and nothing is taken for granted. Whether components are new or under repair, qualified service technicians put them through the same battery of tests and visual inspections. Operators in the field re-test every tool to ensure nothing was damaged in transit. Service records and QA reports are available upon request for any piece of equipment. Metro Infrastructure is committed to protecting and promoting the health and safety of our employees, contractors and the public. 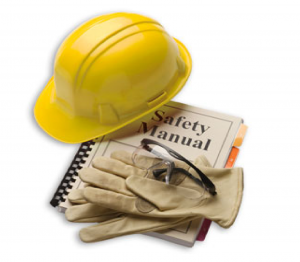 Safety is an integral part of our operations; therefore, safety standards have been developed that meet, or exceed, those of our clients and all governing regulations. Much like our philosophy of incident prevention to avoid incidents that could cause bodily harm or equipment damage, it is also our policy to prevent damage and minimize environmental impact as much as possible, given the nature of our operations. It is our belief that loss can best be controlled through active employee involvement at all levels of the organization. Every Metro staff member and field engineer is focused on the responsibility for loss prevention and meeting this responsibility by performing their job safely, in accordance with established procedures, company values, and guiding principles. Metro Infrastructure field engineers and others on customer work sites adhere to the customer’s safety rules, following safe work practices, wearing personal protective equipment, participating in safety training programs and informing supervisors of any unsafe work conditions. Metro is also staffed with a certified Safety Manager and we are working towards COR certification. Extractive industries, such as drilling, can impact local communities, public health, fish and wildlife, and the global climate, which all benefit from a clean environment. Metro takes pride in being a responsible corporate citizen of Ontario and Canada. Hazardous materials are handled by specially trained personnel and disposed of in accordance with industry requirements and standards. We believe in doing everything possible to make sure our future generations will be able to enjoy the same environmental benefits as we do today. E.C.A Certified Number 3928-AU3HBC (Environmental Compliance Approval) issued by the Ministry of Environment. Metro Infrastructure Inc. recognizes that construction operations may have a damaging impact upon the environment and therefore ensure that all construction activities are carried out in such a manner as to ensure a high standard of environmental protection and awareness. 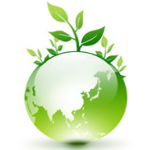 Metro Infrastructure Inc. is committed to the protection and enhancement of the environment. It takes a close and responsible interest in, and considers and respects the physical, economic and social environments on all projects in which it is involved. We aim to contribute towards environmental improvement and sustainable development by using best practice and innovation to minimize environmental impacts. Environmental impacts are assessed at every stage of the business process in consultation with organizations working on behalf of Metro Infrastructure Inc. including designers, contractors etc. to develop agreed solutions that are sympathetic to the environment and community. Metro Infrastructure Inc. plays an active role in supporting and encouraging contractors in reducing their environmental impacts. An environmental action plan seeking continual improvement is produced on an annual basis setting out specific objectives, targets and implementation steps, with the progress routinely monitored, reviewed and reported to management. Each individual working for this company has a part to play helping us to achieve and maintain a healthy environment for all. This policy will be brought to the attention of all employees and to all those working for and on behalf of Metro Infrastructure Inc.